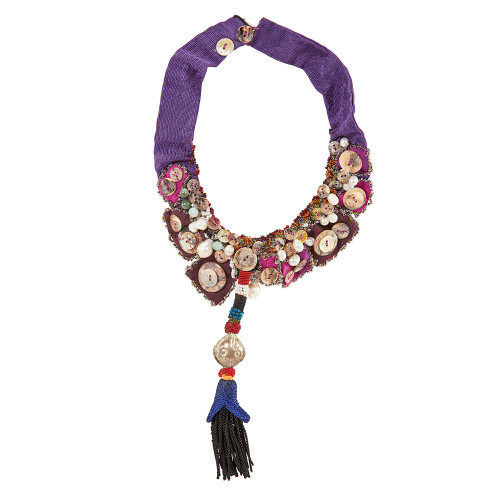 A deep purple color serves as a backdrop for an splendid accessory that combines many different swatches of purplish, pearls and lovely mother of pearls bottoms. Lots of contour embroideries and an attractive lonely Turkmen tassel. DIMENSIONS: Lengh until the end of the tassel 11″. Internal diameter 4″.